We do not require You to submit personal information to visit Our Sites other than confirming You are at least 21 years of age by entering Your date of birth; however, We do require visitors to submit Personal Information to register for specific promotions or participate in certain online programs, surveys, newsletters or other transactions or activities. On a particular registration page, We may request Your date of birth, gender, address, email address, telephone number, and/or other contact and demographic information. If you have opted to participate in a promotion or program and/or to receive information from us, you may cancel your registration and/or remove yourself from our email list, you may do so by following the “unsubscribe” procedure contained in one of our communications to you, or by writing to CVL at the address or email address as described in the section labeled (“Contact Us”) and indicating in your letter or email that you wish to be unsubscribed from our marketing mailings. The certain Personal Information may be transmitted and received on the Site, including Your registration for any specific promotion or to participate in certain online sweepstakes, contests, programs, surveys, newsletters or other transactions or activities or Your use of any application or linking to any social media, could contain Information that would allow someone to identify You or contact You, such as Your full name, birthdate, postal address, e-mail address or telephone number (“Personal Information”). We do not knowingly collect any Personal Information from anyone under 21 years of age and YOU HAVE CERTIFIED THAT YOU ARE AT LEAST 21 YEARS OF AGE TO ACCESS AND USE THIS SITE. During Your use of the Site, certain information other than Personal Information may be transmitted and received. Any such information other than Personal Information that may be collected about You shall be called “Other Information”. (Personal Information and Other Information, together shall be the “Information”). Your credit card or other payment information. Please be informed about Our policy concerning the Information We collect from You. We collect the minimum Information necessary to make the system recognize You when You log into the Site and to allow You to use the Site, enter a promotion, use an application on the Site, or register for emails, newsletters, podcasts, chat rooms, message boards or blogs. User Registration To the extent We may offer or require user registration on the Site, to register as a member of the Site, You may be required to select a user name and password (together, your “User ID”) and may be required to also provide other Information, such as Your name, address, email address, date of birth and phone number. Additional Information may be requested during the registration process (but not required). In Connection with Certain Features and Functions We may also provide You with access to certain features or functions that We may offer on the Site, such as the option to subscribe to a selection of free emails, newsletters, podcasts or blogs and other periodic information, chat rooms, message boards, electronic mail services, messaging services, registration, members forum, and member profile pages (“Communities”). To sign up for or participate in these features or functions, You may be required to provide Us with certain Information about You in order for Us to personalize and/or allow You to use such features and functions. For example, to sign up to receive newsletters, You may be required to provide Your email address, date of birth and zip code separate from any user registration. Further, for example, we may capture Information about Your computer’s internet address and website which may have referred or directed You to the Site (e.g., the referring URL). We may record and store archives of these communications on Our servers to protect the safety and well being of Our users and to ensure Our rights and property in connection with the use of Our Site. You acknowledge and consent to the recording and storage of such communications. By visiting the Site, whether as a registered user or otherwise, You acknowledge, understand and hereby agree that You are giving Us Your consent to track Your activities and Your use of the Site through these Tracking Technologies. This Site may additionally use a variety of third party advertising networks, data exchanges, traffic measurement service providers, marketing analytics service providers and other third parties (collectively, “Third Party Advertising Service Providers”) to, for example, serve advertisements on the Site, facilitate targeting of advertisements and/or measure and analyze advertising effectiveness and/or traffic on the Site (“Targeting Services”). These Third Party Advertising Service Providers may enable Us to display advertisements based on Your visits to the Site and other websites You have visited. Targeting Services enable Us to, among other things, help deliver advertisements or other content to You for products and services that You might be interested in, to prevent You from seeing the same advertisements too many times and to conduct research regarding the usefulness of certain advertisements to You. Although these Third Party Advertising Service Providers do not have access to Our Tracking Technologies set by the Site, the Third Party Advertising Service Providers, as well as Advertisers, may themselves set and access their own Tracking Technologies on Your Device if You choose to have Tracking Technologies enabled in Your browser (or, for Flash cookies, if You have not removed them) and/or they may otherwise have access to Other Information about You and those practices are subject to their own policies. You can set Your web browser to warn You about attempts to place Cookies on Your computer, or limit the type of Cookies You allow. Flash cookies operate differently than browser cookies and Cookie management tools available in a web browser will not remove flash cookies. To learn more about and manage flash cookies You can visit adobe.com and make changes at the privacy settings panel. If You disable Cookies, You may lose some of the features and functionality of using Our Site, as some Cookies are necessary to track and enhance Your user activities and experience. Users that register for Our wireless marketing services acknowledge, understand and agree that they will be charged by the user’s wireless carrier for all messages sent to the user from CVL. Standard messaging rates will apply, unless noted otherwise. Under no circumstances will the Site, CVL, Our parent, subsidiaries, sister companies or affiliates be responsible for any wireless email or text messaging charges incurred by a user or by a person that has access to a user’s wireless Device, telephone number, or email address. A user understands, acknowledges and agrees that CVL may, in its sole discretion and without liability to any user, terminate its offer of any specific wireless marketing service or all wireless marketing services at any time without advance notice. CVL may provide notice of terminations or changes in or to Wireless Services on this Site. If You participate in any public activity on the Site including entering a Promotion, contest, uploading a video or picture, or using an application (“Public Activity”) that requires You to create a profile or enter Your name or other Personal Information, Your login or user ID number used to identify You, Your first and last names, Your location, Your profile picture, Your contest or promotion entry, Your video or photograph, and Your comments will be public. This Site and search engines may index this publicly available information. If We establish a bulletin board, message board or chat room on the Site You should be aware that any information You share is visible to other users. Posts You make are public and may be viewed by others. Personally identifiable information You submit to one of these forums can be read, collected, or used by other individuals to send You unsolicited messages. CVL is not responsible for the personally identifiable information You choose to submit in these forums. You may direct any inquiry or lodge a complaint regarding any inappropriate behavior by contacting Us as described in the section labeled “Contact Us” herein. Maintain and administer the Site and for other purposes described in the “Use of Information”, “Other Information Collected by Us” sections herein. We will not use a wireless telephone number, wireless or conventional Internet email address, or other Information submitted for its wireless marketing services for any other purpose but to provide the service requested, unless We provide advance notice of any other use. We will not share any Personal Information with Advertisers or other third party marketers unless You opt-in to such disclosure. We will share Personal Information with the operational service providers that assist Us in delivering these wireless services to You and with Our parent company, subsidiaries, sister companies and affiliates, Advertisers’ or partners’ sites. Even if you exercise your opt-out rights as described herein, We, or Our parent, subsidiaries, sister companies or Affiliates, may continue to contact You for the other purposes described in the “Use of Information” Section above, such as for maintenance and administrative purposes. In connection with marketing and promotional email and offers You may “opt-out” of receiving marketing and promotional e-mails from Us at any time by following the unsubscribe instructions provided in the promotional communication You receive; or by contacting Us as described in the “Contact Us” section of this document. To “opt-out” of receiving marketing and promotional e-mails from Our parent, subsidiaries, sister companies, affiliates and/or third parties by going to the site of Our parent, subsidiaries, sister companies, affiliates and/or third parties and following the instructions on their sites. You can choose to disable or turn most Tracking Technologies off (other than Flash cookies). Additional information on disabling or turning off most Tracking Technologies may be available through Your browser’s support feature. Visit http://www.doubleclick.com/us/about_doubleclick/privacy for Your options with respect to the serving of ads by DoubleClick to You and for further information on renewing Your opt-outs or opting-out again if You subsequently delete the Tracking Technologies. Visit http://www.networkadvertising.org/managing/opt_out.asp for Your options with respect to opting out of most Tracking Technologies set by certain Third Party Advertising Service Providers used by the Site (other than DoubleClick) and for further information on renewing Your opt-outs or opting-out again if You subsequently delete the Tracking Technologies. Opting-out of, deleting, rejecting, disabling or turning off Third Party Advertising Service Providers’ Tracking Technologies does not mean that You will no longer receive online ads. Opting-out of, deleting, rejecting, disabling or turning off Third Party Advertising Service Providers’ Tracking Technologies only means that such ads will no longer be tailored to Your specific viewing habits or interests, but You will continue to see ads on this Site. III. Flash Cookies Please note that deleting, rejecting, disabling or turning off Tracking Technologies set by Third Party Advertising Service Providers and Advertisers and set by this Site through the above options will not remove Flash cookies. For more information on Flash cookies and how to remove them please visit http://kb2.adobe.com/cps/526/52697ee8.html or http://epic.org/privacy/cookies/flash.html. A user may cancel one or more services via his or her wireless Device at any time by using the unsubscribe mechanism provided by CVL at the time the message is sent, or by sending a text message that says “STOP”, “END”, “CANCEL”, “REMOVE”, “UNSUBSCRIBE” or “QUIT”. CVL will terminate the user’s registration for the most recent wireless service sent to the user. Any of these words followed by the word “ALL” in the user’s termination request will cancel all of the user’s registered wireless services with CVL. If the user unsubscribes from one or all of CVL service(s) via his or her wireless Device, the service(s) will be terminated immediately and will cancel the user’s previous opt-in. CVL has safeguards in place to keep Your Personal Information accurate, complete, and up to date for the purposes for which it is used. Of course, You always have the right to access the Personal Information You have provided in order to change or correct it. You can ensure that Your contact information and preferences are accurate, complete, and up to date by requesting a copy of Your Personal Information. To update Your obtain a copy of Your Personal Information, contact Us as provided for in the “Contact Us” section herein. Phishing attacks attempt to steal consumers’ personal identity data and financial account credentials. “Phishers” use ‘spoofed’ e-mails to lead consumers to counterfeit websites designed to trick recipients into divulging Information such as credit card numbers, account usernames, passwords and social security numbers. WE DO NOT SEND EMAILS ASKING YOU TO PROVIDE OR CONFIRM CREDIT CARD NUMBERS, SOCIAL SECURITY NUMBERS OR YOUR USERNAME OR PASSWORD! If You receive such email communication, please contact Us immediately as described in the section labeled (“Contact Us”) by forwarding a copy of the email to Our attention, and then immediately delete the fraudulent email from your computer. Our Site has links to the sites of other companies. We are not responsible for their privacy practices. We encourage You to learn about the privacy policies of those companies prior to sending any information to those parties. Under California Law SB 27, California residents have the right to receive, once a year, information about third parties with whom We have shared information about You or Your family for their marketing purposes during the previous calendar year, and a description of the categories of personal information shared. 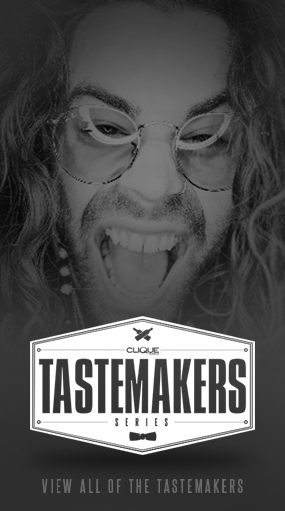 To make such a request, please send an email to: follow@cliquevodka.com and please include the phrase “California Privacy Request” in the subject line, and provide Us with Your name, address and email address. We will respond to You within thirty days of receiving such a request. You are solely responsible for maintaining the strict confidentiality of Your User ID, if applicable, and for any charges, costs, expenses, damages, liabilities and losses We incur or may suffer as a result of Your failure to do so. You, and not us, are solely responsible and liable for the activity, behavior, use and conduct on the Site under Your User ID (whether used by You or any others who use Your User ID), unless and until You notify us that Your User ID may have been compromised, misappropriated or improperly taken or used by another party. We reserve the right to deny access, use and registration privileges to any user, including without limitation, a registered user, of any services, features or functions of the Site if We believe there is a question about the identity of the person trying to access the user’s account or any services, features or functions. Further, if You use any of the communities, blogs, message boards or other public features and functions made available on or through the Site, please remember that any Information disclosed in these venues is automatically made public and please use caution when disclosing any Personal Information in the communities or other public features and functions, as You do not know who will access and use Your Personal Information or for what purposes. CVL is in no way responsible for the accuracy, use, or misuse of any Information, including Personal Information, that You disclose or receive through these Communities or other public features and functions and You should assume that any disclosure You do make in these venues will be available publicly, even without Your knowledge or authorization. 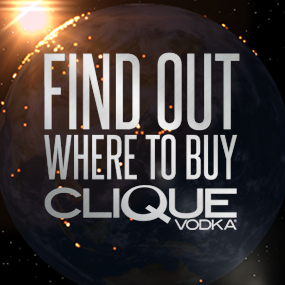 Please contact Us by (i) email at: follow@cliquevodka.com; (ii) by regular US mail at Clique Vodka Customer Service, 1627 Penn Ave., Pittsburgh, PA 15222. The occasions will be at this time there to monitor The Opening, some sort of emphasize for 166 top notch highschool leads welcomed to sign up now from the Nike Globe Head office around Beaverton, Ore.
USC NowUSC freshmen examine: Cornerback Iman Marshall is going to issue intended for timeSee almost all related8 The five day time occurrence features a qb opposition, include, reasoning better for eight world-class and even lineman problem. Gamers were definitely invited determined by events from Nike Sports localised campement. 5 various for the game enthusiasts partnering have convinced of USC 2016 hiring people category as well as 2 get devoted to UCLA. Pretty much 19 of your individuals come from Southland huge colleges. All five competitors who have nike free mercurial superfly committed to USC might have fun with the Launch today around the Nike Community Headquarters throughout Beaverton, Ore. The days will observe the experience of Los angeles Puente Bishop Amat recipient Trevon Sidney throughout the circumstance. Sidney will be signed to help declare his / her school commitment Ending friday not to mention UCLA plus USC are among the choices. OSU Modifies his name Magnifies UConn’s Futility Along with Extended distance Through TopThe inaugural College football games Playoff National title occurred with the similar Mississippi Taj Mahal exactly where UConn won their fourth NCAA tennis title survive 04. Though you get the sensation when you possessed expected the usher located at With Ground pertaining to ways towards UConn, he get informed you to hang the right at Fortification Worthwhile and even go to the North Person of polish ancestry. Asking questions are really pleasant thing if you are not understanding anything fully, except this article provides fastidious understanding even. I was able to find good advic from your blog articles. is totally off topic but I had too tell someone! stumbledupon it 😉 I’m going to come back yet again since I book-marked it.